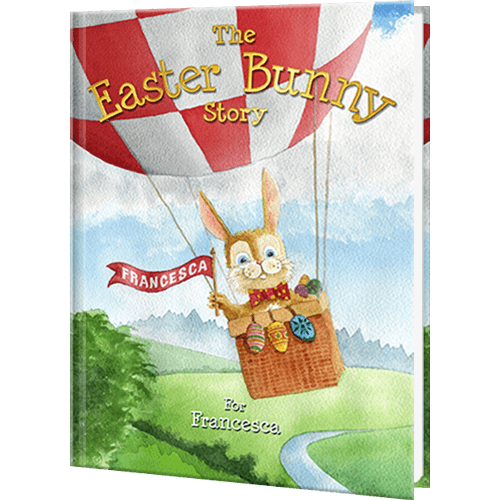 The perfect gift for a little one at Easter time is this personalized Easter Bunny Story book. The story tells in rhyme how the Easter Bunny produces and delivers chocolate eggs at Easter. Starting in Bunny Land with its chocolate waterfall and candy butterflies, the story includes 10 beautiful, hand-painted colored illustrations that each include the child’s name.